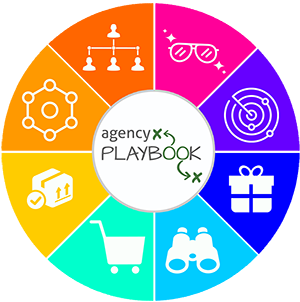 Does your agency struggle with an outbound sales strategy? Do you even have an outbound strategy? You can build a scalable outbound strategy using LinkedIn by making connections and delivering those prospects critical content. If your LinkedIn profile isn’t getting you the results that you need, or if you’re looking for a way to boost your sales, check this out. You don’t need a big budget to grow your agency using outbound marketing. With a solid plan, an ideal client in mind, and a little finesse, you can use LinkedIn to dominate outbound! Does your agency really need a LinkedIn outbound strategy? #1 biggest mistake you’re making on LinkedIn. How to create a LinkedIn job story. Why getting rid of connections will land more new business. Bonus: Joey’s super-secret growth hack! Today I chatted with Joey Gilkey founder of Tribe Prospecting; his agency which provides done-for-you prospecting and marketing solutions. Joey comes with a solid sales background that eventually turned into a love for marketing. He leveraged that into a position as a growth hacker and growth strategist with a HubSpot agency. Today, he’s crushing it over at Tribe Prospecting, and he’s here to share some tips on how to dominate outbound using LinkedIn. It’s always refreshing to hear from someone who loves outbound marketing because I think that too many people gloss over it when it comes to generating leads. Let’s dive right in… and make sure you follow us to the end for a great LinkedIn hack from Joey that will help your agency immediately start reaching out to clients in an impactful way without breaking the bank. YES! There are way too many agencies that have absolutely no outbound sales strategy. We all like to pour over the inbound marketing blogs then run out there and smash ads on whatever is this year’s biggest trending inbound strategy is (I think you’re supposed to be throwing money at micro-influencers this year? ), but when it comes to having a dependable outbound strategy, most of us fall short. The problem with outbound marketing is lead generation. You spend tons of money trying to get customers to your landing page so that they can start slowly worming their way down your funnel. Now, imagine that there was a platform that was saturated with potential clients, lots of those potential clients were decision makers for their company, and those clients were already sharing content and looking for solutions. Ok great! Now, imagine it’s totally free! Here’s why you should be hyper-involved with LinkedIn outbound marketing. It doesn’t have cruise control. You control the speed of your outbound marketing campaign. Unlike referrals or ads, you are completely in control of the growth and scalability of cold emails, calls, etc. It’s predictable and dependable. Sure, there are definitely nuances that come with outbound marketing, but, as a whole, outbound is much more predictable than inbound. Want to connect with only dental assistants and deliver content directly to them? Great! LinkedIn lets you do that. Do you need to meet an aggressive sales quota? Great! Outbounding marketing enables you to be as aggressive or passive as you need to be. It’s free! Seriously, LinkedIn is one of the best platforms for growth-stage companies on a budget. You don’t have to pour money into the ad or lead machine to get results. Stop using LinkedIn as a bragging platform! Utilize LinkedIn as a lead generation tool or a landing page. Don’t just talk about how amazing you or your agency is — talk about the customer’s needs. Give them a reason to want to stay and learn more. Use your headline to call your customers out. Don’t just talk about how you’re the greatest thing since sliced bread, talk about what you can offer your customers. Don’t say “I’m the world’s greatest inbound marketer, and I own a multi-million dollar marketing agency.” say “I help CMO’s around the world generate leads effortlessly using omnichannel marketing dominance!” Who are they? CMOs. What do I do to help them? Using omnichannel marketing dominance. What will they get? Leads. Your summary should have empathy and authority. When it comes to your summary, use empathy and authority to drive the point home. Empathize with their issue and tell them how you will solve it. Now, I always say to keep the authority light. Writing with authority is like using salt in food. Too much of it makes the whole thing taste horrible, but a little adds some depth of flavor. Lead up to a failure or fear of not working with you. After your CTA in your summary, lead the customer to a failure. “I help you create a growth-driven marketing strategy that literally shoves leads into your funnel and forces them down, so you don’t go out of business!” No one wants to lose their job. Don’t be afraid to add a prospect qualifier. If you are only looking for certain budgets or firm sizes, add a qualifying statement. 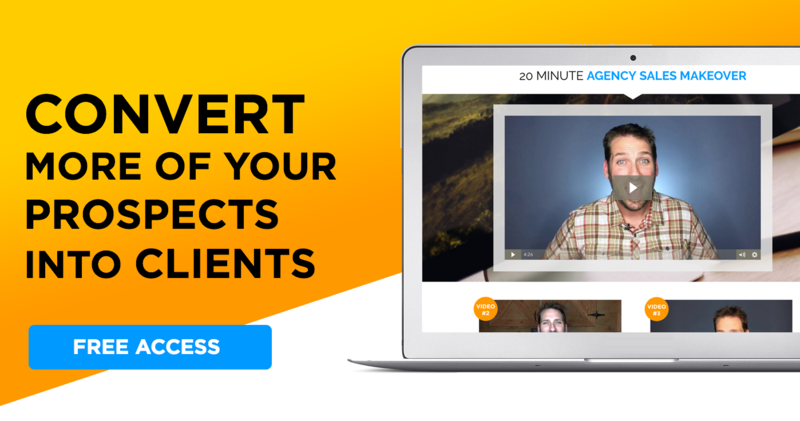 Let them know that your agency is not going to waste your time with low-budget firms looking for growth-hacks if you’re an inbound marketing agency working with multi-million dollar companies. We all know that you have to identify and understand your ideal client – those are the ones right in your agency’s sweet spot. But, Joey talked about his pro-tip for helping you really focus in and get super specific. This trick will help your agency zero in on their pain points and motivations. A job story is one sentence about your ideal customer that breaks down into 3 parts. When I am deciding on which sales software will help my startup most, I want a one that connects my sales team to potential customers the second they opt-in so I can crush my sales quota this year! You want to make sure that you have a hyper-targeted connection list — one that you can push those sweet eBooks that you wrote onto. If you find connections that aren’t relevant after you’ve pivoted your ideal client’s persona, be merciless. If you have quality connections, connecting to them is much easier. You can send them a message, share their content, give them content without bothering them for their email address because you already know that they are a perfect fit for you. Having quality connections makes nurturing those connections a breeze. Pro Tip: Joey’s Super Secret Growth Hack! Being the super cool guy that he is, Joey shared a little trick his agency uses to generate leads. This method takes advantage of LinkedIn, Facebook, and cold emails do you can triple down on outbound efforts. Go to LinkedIn and click settings. You should be able to download all of your LinkedIn data. You will get the email addresses of all of your first-level contacts. Create a spreadsheet using that data with your contacts emails. Find someone (or do it yourself) to go through the list and pull out all of your ideal customers. This will be easy if you have quality connections. Go out and find a personal detail about everyone on that list. Do they love golfing? Do they know your cousin? Great! Use it. Drop those emails into a sales email automation platform (whichever one you like,) and then create a magic field (custom field) so you can put a sentence or two in each one that’s super relevant and personal to that particular individual. Here’s where it gets juicy. Drop those same emails addresses into Facebook and spend a few bucks a day targeting ads to those people. BOOM! You’re connected to them on LinkedIn, you’ve sent them some personal cold emails, and you’re in their face when they’re on Facebook.